Determine the demographic you want to reach out to. According to statistics, 68% of Instagram users are women aged 30 and under. So, it’s best to create content you think will attract these demographics. Are you targeting adults or professionals? Or perhaps you want to reach out to athletes or housewives? Answering these questions lets you know the kind of content to make. Also, determine their interests, location, the hashtags they use, and their followers. This gives you content ideas to post on the platform. You want to create content which your audience can relate to, whether it be with their profession, lifestyle, or outlook in life. This will make your followers keep coming back for more. Bring value to your audience by creating meaningful and informative content. Instagram isn’t only a place to promote. It’s where you want to build a strong connection with your audience. You want to have long-term followers, not those who just visit your site one or two times. Know who your competitors are, as well as the big players in the industry. Check out their content that does well and uses it as a standard for your upcoming posts. Also know their engagement rate, their call-to-action methods, the hashtag they use, and the kind of content they create. This lets you know which content and methods work best and make it easier for you to improve on it. Analyzing your competitors helps you outsmart them and formulate better strategies ahead of them. You don’t want to be left out in your niche. You want to be the pioneer of new ideas. Achieving that, is, however, easier if you keep track of your competitor’s content and statistics. Use them as a basis for your success. Outsmarting your competitors benefits your Instagram account, and ultimately, your blog. Prey on their weaknesses, but don’t come to a point where you’re damaging their reputation. Ethics still come to play here. This is the most important part of your Instagram marketing strategy. Creating content takes a huge portion of your brand’s resources, so you want to get it right the first time. Your content is what showcases your brand and helps you reach your business goals. Consider the photos and videos you’ll be using and how frequently you’ll publish them. Also, share a story every now and then to stay active and connected to your followers. You can also consider other marketing techniques such as having contests, giveaways, and collaborations with other influencers. You can boost your brand’s popularity in Instagram by simply using the app. However, there are many tools that save your time and effort in marketing your blog. Remember that building a strategy revolving around growing a following is of utmost importance. We’ve covered the tools you should use to jumpstart your Instagram following in this post. Use these tools to implement your content strategy and schedule your posts months ahead of time. You should also consider getting free Instagram followers from DigiSMM. Doing so should improve your social signals by increasing your followers and likes. It also boosts your engagement, making your blog look more credible and interesting. Marketing your blog on Instagram is all about learning, testing, and optimizing your content. The time and resources you spend should all achieve its goals. Thus, you need to know how your account is doing. Track your progress and make sure that your figures are constantly improving. 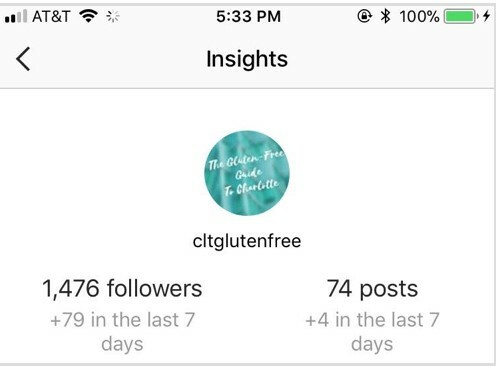 Use Instagram Insights to know which posts are working and which ones aren’t. This also gives you an in-depth analysis of your engagement statistics to help you come up with future content. Instagram isn’t only a place to post photos, but it’s also where you can develop your brand and increase your followers. However, you need to consider many things, including the ones mentioned above. Hopefully, the strategies mentioned in the article motivated you to use Instagram to market your blog. Through this, you’re able to make the most out of the platform. Follow these tips wisely and your blog will surely be off to greater heights.